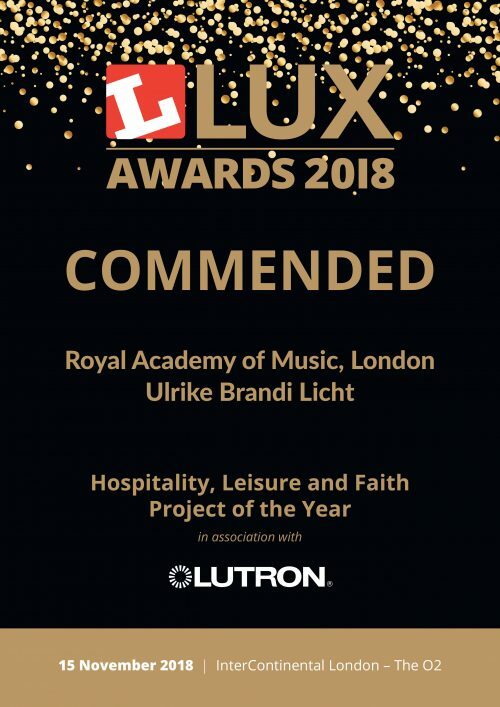 Designed in collaboration with the Hamburg-based lighting designer Ulrike Brandi Licht, we are pleased to announce that the lighting at The Royal Academy of Music’s Susie Sainsbury Theatre has received a commendation in the ‘Hospitality, Leisure and Faith Project of the Year’ category at the LUX Awards 2018. 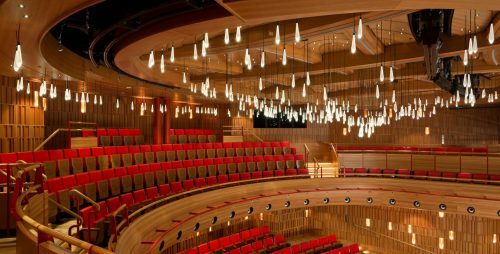 The Awards were presented in front of 800 senior lighting professionals at a gala event at the O2 InterContinental, 15th November. From over 200 nominations, the judges drew up the initial shortlists, tested products and visited projects the length and breadth of the UK to see them in action for themselves. 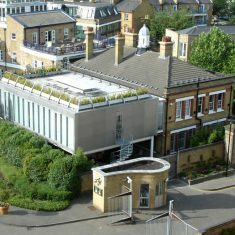 Ian Ritchie Architects were pleased to be joined by other members of the team who helped realise this unique project: Push The Button, RobLight, Light Projects, King Shaw Associates.